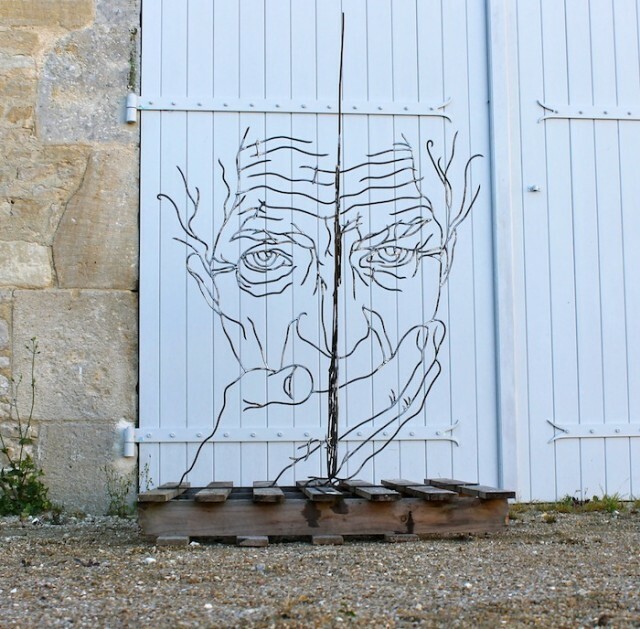 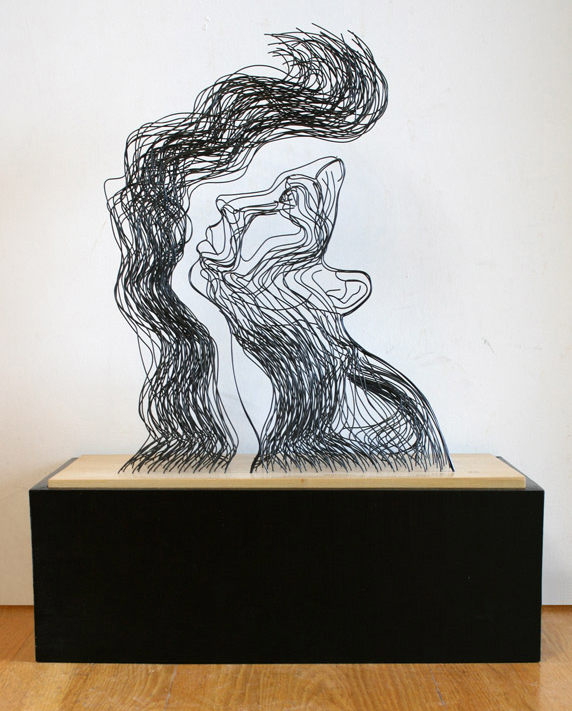 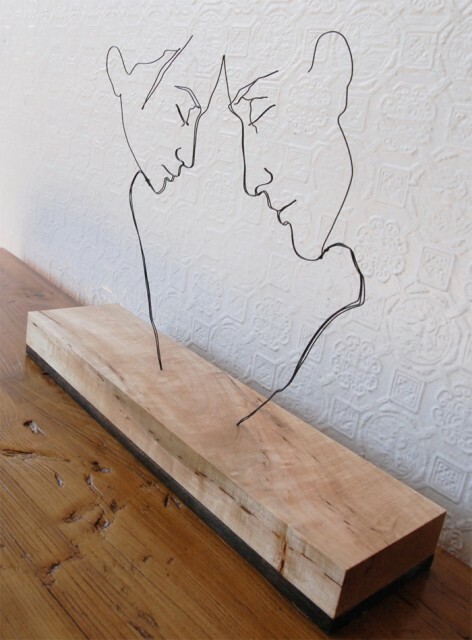 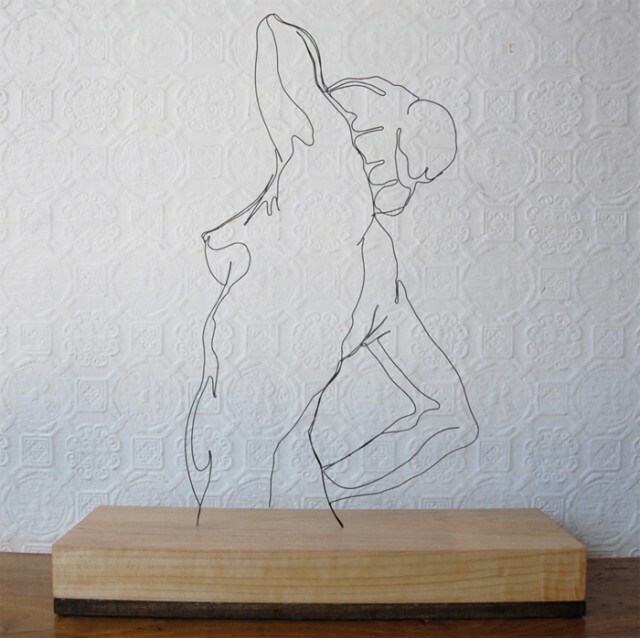 Self-taught artist Gavin Worth creates sculptures that look like line drawings but are crafted from metal wire. 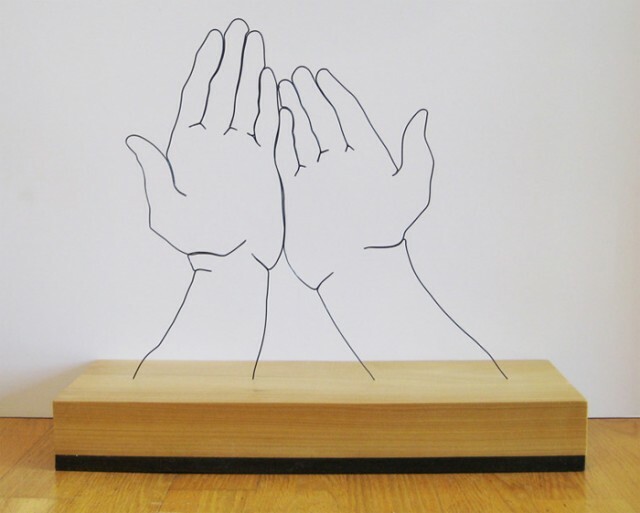 His latest work, “Thirst,” is particularly ingenious: the sculpture reveals two separate images depending on viewing angle (see photos and video below). 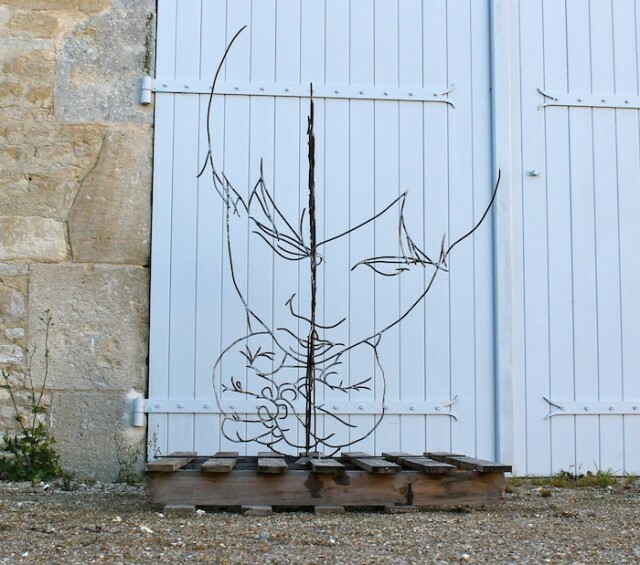 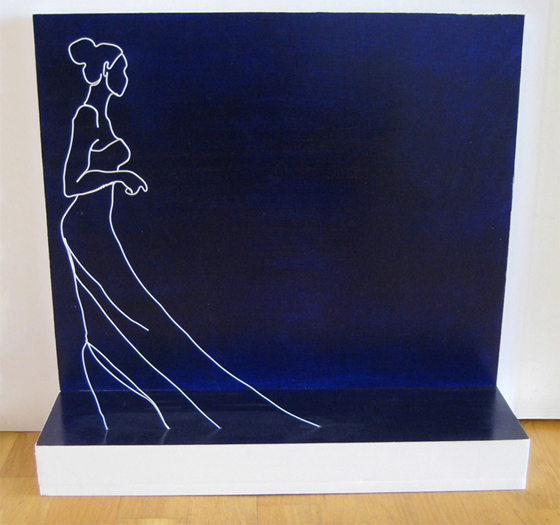 “Thirst” is on public display in Matha, France.